The electrical need varies from one household to another. What remains constant is the need for a good electrician that will not only understand your problem but will give a creative and innovative solution to the complex issues in the least time possible. The electrical need varies from one household to another. What remains constant is the need for a good electrician that will not only understand your problem but will give a creative and innovative solution to the complex issues in the least time possible. So are you confused as well regarding which electrician to hire for your house? You can find different types of electricians in the market such as residential electricians, commercial electricians or contractors, and emergency electricians and automobile electricians. So first you need to decide that which type of electricians you want a hire and then you can search them online to find out the best services. It is suggested to check their license, experience level, customer reviews, and insurance papers before hiring. How would you hire the best electricians? The first and the foremost thing that you need to ensure is that whether the electrician has the necessary licenses that are required to do the job. The insured electricians are even better because you do not need to bear any charges for any accidental damages done by such insured electricians. If anything happens to them or your property, then you are going to end up in tremendous legal issues which are extremely difficult to come out of. So choose your electrician wisely, and you will never face a single problem with him. Apart from that, you can also check the validation of their license from the authority portal and if they have a valid license then they can serve you better. 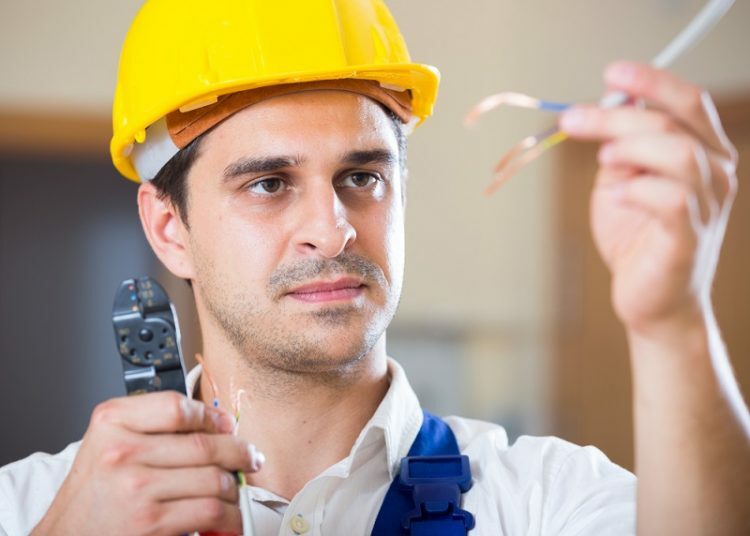 Electricians can get their license after completing a course and internship. So when you check their license, that means they have proper training and experience in this field. Don’t just tell him to start work immediately after showing off the problem. The electrician might charge you a fortune after doing the work, and you will have no option but to pay him what he is asking for. The best is to ask for a quote before you agree to work with him. You can ask for the quotes from different electricians and compare the same to choose an affordable one. Some electricians give you a discount and have various offers, make sure you ask for all the offers thoroughly and study them in order not to incur any kind of losses. It is better to buy all electrical equipment or components from outside and you can save some amounts by buying such products from online stores. If you hire a professional electrician then they will always give you a well-planned timeline of the project. So you will know exactly when the repair of the installation work will end. A good electrician will make you a day to day chart writing down the progress over the previous days. This will also ensure him to adjust in accordance with your schedule. Even if you hire such electricians from online then you can easily read their customer reviews to understand their nature of works. But for your commercial projects, you must hire contractors who have a complete team with electricians, technicians, and electrical engineers. They can easily sketch the electrical layouts for your projects and install the same within a few times. It is not very difficult to choose your dream electrician. Today you can easily find various electrical companies online and you can fix an appointment on their official website. They will inspect your property and provide you quote for your projects. But if you want to hire an emergency electrician then you cannot wait for the quotes and you must save a few contacts of reliable electricians in your phone for emergency needs.